Poker Is Becoming an Olympic Sport?! Yes, the title is correct, and no, it’s not clickbait. Poker among some other sports like foosball, arm wrestling, and dodgeball has been given an “observer status” by the Global Association of International Sports Federations or GAISF for short. So, what does this exactly mean? Well, GAISF is a company from Switzerland that works closely with the International Olympic Committee. Their goal is to introduce new sports to the Olympic Games, and getting the observer status is the first step. We recently got the announcement that karate, surfing, rock climbing, and skateboarding will make their debut at the 2020 Tokyo Olympics. So, it looks like the Olympic Committee is open to adding new sports to their roster. Becoming an Olympic sport is not an easy task by any means. Each of these contenders will go through tons of testing until the GAISF committee is sure that the game is entirely skill-based. So, how exactly is poker going to pass this examination when there is quite a bit of luck and randomness in it? Well, there is a catch. Poker as most people know it is not the sport that got the observer status. Match Poker did. This variation of poker tries to distil the skill factor and remove any randomness from the game. The game plays like a regular Texas Hold’em, but in four-person teams. Teams are split across four tables, and each team member sits on a different seat. At the beginning of the game, players will receive identical cards across all tables. That means that all players on the first seat have the same cards, all players on the second seat have the same cards, and so on. This ensures that every hand has identical cards on all tables, which removes luck and chance from the game. After each hand, judges count the chips from every teammate and combine them. The team that has the highest number of chips receives the most points and others progressively less. Before the new hand can begin, chip stacks need to return to their default count. This guarantees an even playing ground at the start of each hand. The game ends once the teams play out the predetermined number of hands. However, once you watch a hand or two of Match poker, you will immediately pick up the rules. The purists will probably shun this poker variation right away, and we understand why. Luck and chance are at the core of every poker game. 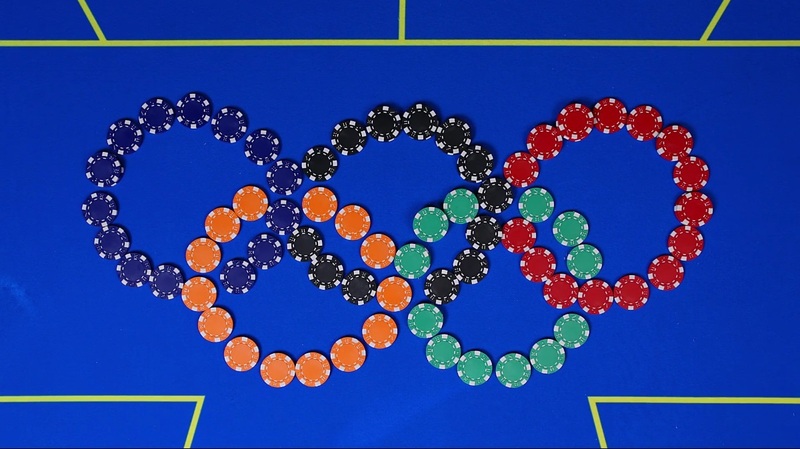 Unfortunately, if we are ever to see poker at the Olympics, the randomness has to go away. So, what do you think about this new “Olympic poker” format? Do you find it even a little bit interesting? We would love to hear your opinions in the comments. Additionally, if you are looking for more poker related news and articles, the team at Poker Sites posts new ones daily, so make sure you visit us.